How are you using your data to inform your decisions? If data isn’t playing a significant role in the way your business makes decisions, it’s time for Microsoft Power BI. Check out how! You need to leverage a solution that can help your employees understand what your data is telling them. 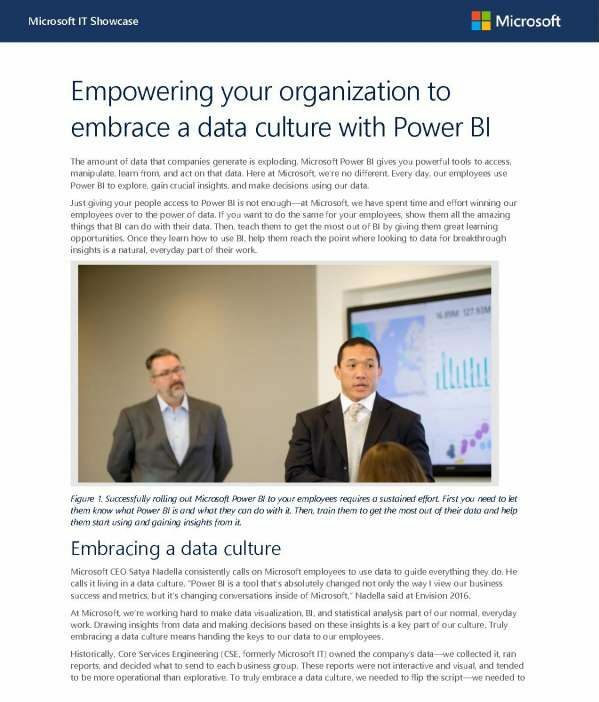 With Microsoft Power BI, you have access to manipulate, learn from and act on your data. Use Power BI to explore, gain crucial insights and make decisions in new and exciting ways. Contact us now on 1300 991 351 to learn more about how we can help you integrate Power BI today. Our consultants can guide you on your software decision, technology implementation, strategy and staff training. Get an initial consultation with Bremmar! Regular old file systems might be how you’ve done things for years, but there’s an inexpensive way to manage your files with 2019 technology that means performing tasks is a breeze. Interview with serial digital entrepreneur and McKinsey advisor James Bilefield on the ingredients of a successful digital transformation.